Most recipes tell you what a particular dish is – vanilla cake, chocolate chip cookies, etc – but some also give you a little more information by telling you about where that recipe is from. A New York-Style Cheesecake is a great example of this, and this dense and creamy type of cheesecake is instantly recognizable. Some recipes, however, are associated with different places and it is unclear why. This is one of those cakes. I’ve seen similar recipes described as Breton Apple Cakes and Dorset Apple Cakes with little explanation as to what gives them those names. I have to assume that people who live in Brittany and Dorset have a fondness for this type of cake – and I don’t blame them one bit because it is delicious. 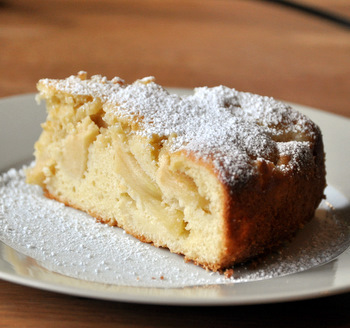 The cake is so packed with fresh apples that it verges on being an apple cobbler. It is very moist and tender, with a great flavor of butter, vanilla and apples. It’s just about impossible to go wrong with that combination. The batter is easy to whip up and it is very thick, so you need to fold the apples into it and them spread it into your baking pan. The apples should be thinly sliced, as that ensures that they will cook to tenderness as the cake bakes. It also results in a very attractive finished cake. I used Fuji apples and would recommend a fairly sweet or sweet-tart apple (not tart apples, like Granny Smith) for this cake because the cake batter is not too sweet on its own and a lot of the sweetness and flavor comes from those apples. No matter what you call it, this is an excellent apple dessert. 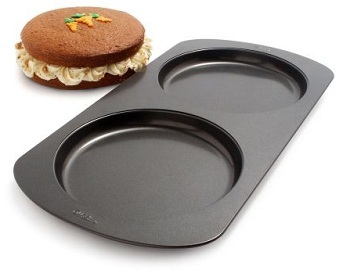 The cake can be served warm if you’re ready to eat it right away, but will keep very well for a day or two if you cool it and put it in an airtight container. 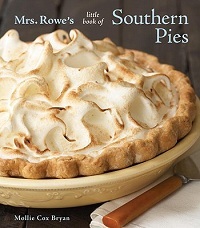 I’d recommend eating it just a bit warm with confectioners’ sugar or ice cream. Preheat oven to 350F and lightly grease a 9-inch springform pan. In a medium bowl, beat egg whites to stiff peaks. Stir about half of the egg whites into the cake batter (you can use an electric mixer on “low” to stir) to lighten the batter, then gently mix in the remaining egg whites. Fold in apple slices. This looks delicious! I love all the apple! That looks really lovely. Will have to the recipe out. Possibly this fall when the apples are ripe. Sounds (and looks) delicious! What are your thoughts on using low-fat yogurt for this recipe? This sounds delicious! 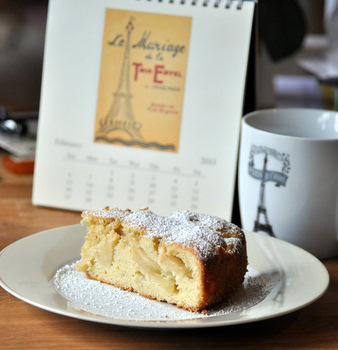 I’m always on the look-out for apple cake recipes and this is a must try! Thanks! Breton is the French province of Brittany. They grow a lot of apple there and are famous for their cider. That’s probably why the recipe has that name. Sound yummy! This looks like a gorgeous cake. I love apples in pies and cakes, but I worry about the texture of the fruit once the cake has cooled. There is nothing worse than a mealy apple. Any tips for the best way to pick an apple that will stand up to the heat? Sarah – Take a look at this post for some tips on picking a good apple for baking. I always like Fuji and Jonagold. Baking this cake right now–smells SO good. Made this cake last night and brought it in to share with my co-workers (I didn’t dare keep it at home!) — it disappeared VERY quickly! (I used 1/4 cup of buttermilk instead of the yogurt and before putting it in the oven, I sprinkled 1/2 cup of sliced almonds over the top and a couple of TBL of turbinado sugar) . . . OMG this is good!